Being an author, I realize the honor and opportunity of being on a cable television show to help get other authors, publishers, bookstores or artist noticed with your published books or your other talents. Since I’ve become a producer, director and co-host to the NBTV-95 Cable TV Station in New Bedford, Massachusetts, I’ve been thrilled to interview people who talk about their struggles to get on top. This gives them time on the air and the half hour opens doors for me to learn about others trying to fit into the world of publishing. Each month, I enjoy asking a person to be my guest on the cable show. Check our scheduling at http://www.newbedford-ma.gov/CableAccess/Channel%2095/ProgramSchedule.html. Tune in and hear the pros and cons of others who got published. What road blocks did they face? We want the listeners to learn from all our mistakes. We’re listed under Auhors Without Borders (www.awb6.com). The handsome man running the camera is my husband, Al Sequeira. He helps when our other stagehands are tied-up with other events. Doesn’t he look like a natural? 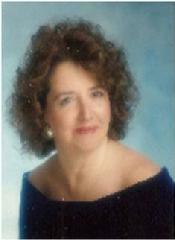 Laura Vaughan has been a teacher for 20 years and a writer for a lot longer. She has taught both English and History in the Boston and Fall River public school systems, and is the author and illustrator of the children’s book Andy Ant, What Could Possibly Be On The Other Side To See. Over the years, she has written for a daily newspaper (the Winchester Daily Chronicle), editor of an adventure magazine, written and had published short stories in various publications, and has worked for the Associated Press. She is presently working on a creative non-fiction novel about a Guatemalan orphanage, along with a fiction novel about an intelligent rat that runs a dump. She is also the founder of New Bedford Writer Studios – an organization offering writing workshops in Poetry, Fiction, Creative Non-Fiction, Short Story, and Memoir Writing in the New Bedford area. Author, poet, and speaker, Steven Manchester, and his seven-year-old daughter, Isabella, where interviewed with his new children’s book Bella Bean. Steven has written 16 books (with 12 in publication), and has contributed to more than three dozen international anthologies. When not spending time with his children, writing, teaching, or promoting his published books/films, this Massachusetts author speaks publicly to troubled children through the Straight Ahead Program. Visit his website at http://www.stevenmanchester.com. 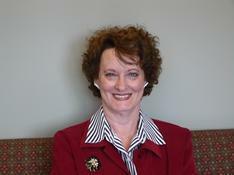 Alberta Sequeira intervewed Julia Schlam Edelman, M.D. 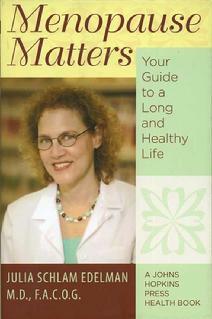 with her book Menopause Matters. Dr. Edelman, M.D., F.A.C.O.G., is a board-certified gynecologist, a certified menopause clinician, a Clinical Instructor at Harvard Medical School, an Adjunct Clinical Instructor at Brown Medical School and a Fellow of the American College of Obstetricians and Gynecologists. She is in private practice in Massachusetts. Menopause Matters covers the full spectrum of topics of vital interest to perimenopausal and postmenopausal women. Visit her website at http://www.juliaedelmanmd.com. Her book is available on Amazon. 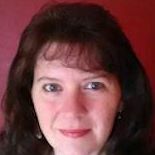 Interview with Stephanie Blackman, publisher of Riverhaven Books. Let me first clarify that Riverhaven is not a vanity press; not every work meets the standards of Riverhaven Books. However publication through Riverhaven is not a requirement in order to employ our other services. You provide a manuscript, and we’ll work with you to edit it, format it, and design the final product. Hands on is the philosophy of Riverhaven. Our attention to detail, while maintaining affordability, is what sets us apart. Because we are a small and newer company, writers maintain control over the number of books printed and are responsible for that payment. In turn, Riverhaven does not take any of the profits from the sale of those books. It’s a mutually beneficial relationship. And we look forward to working with you. To book stores looking to purchase copies of our titles, please know that we offer a standard 40% discount. Riverhaven also has a return policy. Please contact Stephanie at RiverhavenBooks@verizon.net for more information. 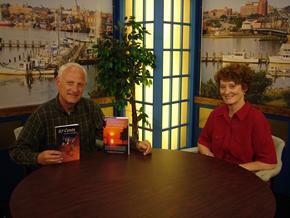 Interview with author, Thomas M. Cirignano, at the NBTV-95 Cable Station on the Authors Without Borders Presentsshow. Tom owned and operated an auto repair shop on East Third Street in the heart of South Boston. 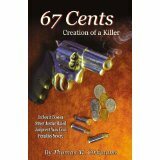 He experienced, first hand, those history making years when crime and violence ruled the streets. Southie was in turmoil, with both the Irish and Italian Mobs vying for complete control. 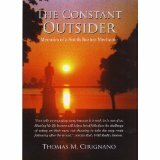 Thomas Cirignano compiled his notes and memories of South Boston to create his first book, The Constant Outsider, Memoirs of a South Boston Mechanic. His experiences were anything but typical or ordinary, surreal by most people’s standards. Michael J. DeCicco, a busy Greater New Bedford area freelance writer and substitute teacher, is the author of two compelling, insightful novels about characters he’s known and the important life lessons readers can learn from them. “Kaurlin’s Disciples”, which is available from Infinity Publishing and at www.amazon.com, focuses on a teenage girl’s struggle to find a new, stronger belief in herself with the help of a popular but radical high school English teacher, Mark Kaurlin. Michael said Kaurlin is a fictionalization of the teacher that inspired him when he was a budding writer and high school student in the late 1960s. The words of wisdom that Kaurlin gives his students will inspire readers of any age, but especially today’s teenagers. Michael has developed “Kaurlin’s Disciples” into a dramatic play that may soon be produced locally. Michael’s new action-filled teen novel, “The Kid Mobster”, which is available on Kindle, is the story of a high school senior and dreamer who goes to work for a mob-connected scam artist named Mederick Anders then slowly realizes the kind of corrupt world he has joined. His story is a lesson to young readers to be wary of the many slick, corrupt Mederick Anders of the world. Fanfiction.net offers a two-chapter sample of this engaging novel. Michael J. DeCicco’s credentials include serving as a reader of Young Adult Books for “The Boston Globe” and over 30 years as a freelance writer and news correspondent in Southern New England. He’s also worked for over five years as a substitute teacher for several Southeastern Massachusetts school systems. He lives with his wife Cynthia in New Bedford. 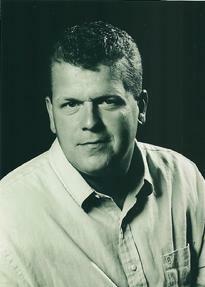 He earned his BA in Creative Writing at Roger Williams University, Bristol, RI in 1977. To find “Kaurlin’s Disciples”, go to: www.amazon.com/Kaurlins-Disciples or www.buybooksontheweb.com/product.aspx?ISBN=0-7414-2952-7. To find “The Kid Mobster”, go to: http://www.amazon.com/The-Kid-Mobsters-ebooks. 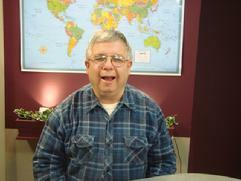 Alberta Sequeira, host to the NBTV-95 Cable TV Show, interviewed Bob Branco from New Bedford, Massachusetts. This book is about eight of the most important years of Mr. Branco’s life. Just like anyone else between the ages of 12 and 19, he had a lot to learn about growing up. 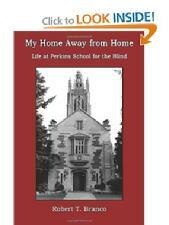 However, contrary to what most pre-teens and teens experience, he lived those eight years at Perkins School for the Blind, in Watertown, Massachusetts; 65 miles from his home.In the book, Mr. Branco talks about their academic classes, the teachers and other adults at the school; the many kids who became his friends and others who made friendship impossible, along with the several sports they pursued. There were the rules they had to follow and how radically they were sometimes broken. You’ll read some of the fascinating field trips that were taken and new technology that was explored. Learn how the school prepared the students for independent living, and much more. As you will read, there were plenty of both good and bad times.His story puts a unique perspective on what it’s like for any teenager, blind or sighted, to live away from home for eight years and hopes that the sighted, as well as the blind, will enjoy and appreciate his story. Julia Broomall was born in Pennsylvania but has lived all over the country. She has three children and seven grandchildren, one of whom has been labeled “special needs”. Before becoming a holistic healer, she worked as a substitute teacher and an arts and crafts teacher. The author also worked for a toy manufacturer as a receptionist, clerk, Human Resource Director, and trade show office manager. Julia now resides on Florida’s West Coast where she is just turning a new page in her life as a successful published author. The Emperor’s New Throne is the first book in the series The Whole Story. It’s a subtle, moral tale about an incident that changes not only the king’s physical abilities, but also his mental outlook and that of his kingdom. The story helps all children and families alike to understand that those being labeled as “special needs” or “handicapped” are just as capable and whole as everyone else in their own way, and that every one of us has a special talent. Julie is in the process of having the second book published by Sweet Dreams Publishing of Mass in a few months. All the books will tell how disability is something a person can overcome. These books are a great buy for children with parents coming home from the war with injuries. 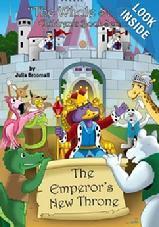 You can purchase The Emperor’s New Throne on Amazon http://www.amazon.com/Emperors-Throne-%2522The-Story%2522-Childrens/dp/0982925611/ref=sr_1_1?s=books&ie=UTF8&qid=1371211856&sr=1-1&keywords=Julia+broomall Visit Julie’s website at www.juliabroomall.com or email her at Juliemill@verizon.net. Does this interest you? Become a Associate Member on www.awb6.com for an interview.